I wish my daughter was still little, because she would love these Bratz dolls. 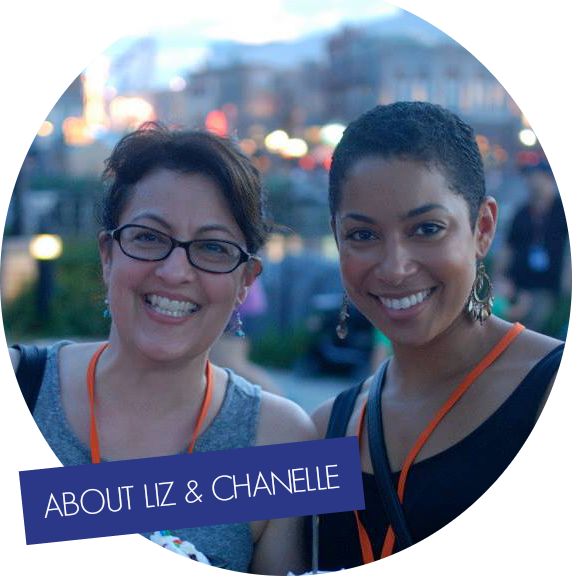 They wear fun clothes, shimmering makeup, and have long, luscious locks just waiting to be styled in countless ways. This is the doll that showed up at my house so I could take a closer look. 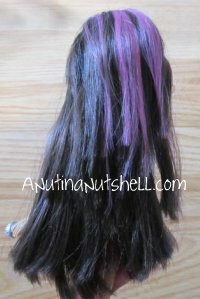 Her name is Yasmin, and she is one of the available dolls in the Bratz on the Mic sets. Yasmin has hair to the back of her knees, and it is fab-u-lous. Look at how she has it styled. Sweet! And look how long it is – down to her knees! Yasmin comes with her own microphone, and a microphone and speaker for you! (The mic works, by the way.) I totally sang my little heart out to test it. There are two songs already loaded on the mic, and there are two different sound effects for you to try as you sing. I couldn’t really tell what the sound effects were doing to my voice, but then again, I was too busy belting out random, goofy lyrics to hear the music track clearly. I love that the doll and mic come together, because if kids don’t want to use them in tandem, there would be lots of fun ways to use them separately! Buy It! Bratz on the Mic sets are available for $34.99 at Little Tikes, and are also available at Amazon ! 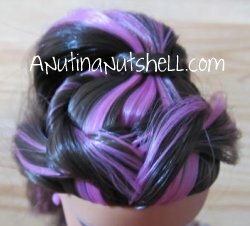 Enjoy this $3 off Bratz coupon too! I received a media sample in order to facilitate the review. All opinions expressed are my own. Can I get the yasmin that you have if I win the contest. 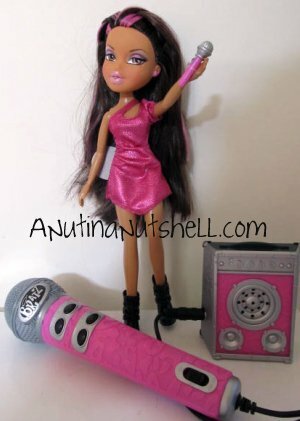 I like the Bratz® On the Mic Doll & Mic- Yasmin. I’d love the Bratz On The Mic Doll And Mic Yasmin! I think my granddaughter would love the Bratz® on the Mic Doll & Mic-Cloe. Thanks for having the contest! We love Jade over here! I like Bratz® On the Mic Doll & Mic- Yasmin. Love this doll. Her hair is so pretty. My daughter would love the Bratz® On the Mic Doll & Mic- Yasmin. Thank you!! My daughter is definately a Yasmin fan! I think my niece would like Jade the best! J would love to have Cloe! I think my daughter would like Jade! I like the Bratz® On the Mic Doll & Mic- Jade. 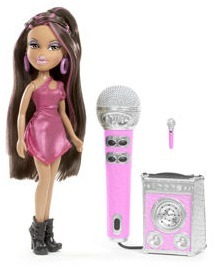 I’d like to win Bratz® On the Mic Doll & Mic- Jade. I would love to have Jade for my daughter. I would love to give Cloe to my granddaughter. Definitely would want the Jade doll!!! My granddaughter would love Cloe. My daughter always liked Cloe! I like Cloe and Jade! Bratz® Masquerade Doll- Odelia Egyptian Mummy is awesome. My little girl also likes Chloe a lot. The Megan set was also cute. Thanks for the chance. I would pick Jade,,,, wish there skirts were a little longer….. I think my daughter would like Bratz® on the Mic Doll & Mic-Cloe. I’d like this one – Bratz Holiday Doll-Cloe. I like Dana’s outfit. Very hip. I think Rylie would like Bratz® on the Mic Doll & Mic-Cloe the best. My favorite doll is Sasha! Lovely review, not to mention. I like all the Bratz dolls ! I would love to win one for A Christmas present . I would like to win either Yasmin or Jade. I’d like to get Cloe. We like Yasmin, because she has pink in her! I’d choose Bratz® on the Mic Doll & Mic-Cloe. I like Yasmin the best. We’d like to win Jade. I think my daughters would like the Cloe doll the most. My niece would love this! Jade or Yasmin would be perfect for her. I like Yasmin and Jade, either would be fine. My daughter likes Jade on the Mic doll!! Thanks so much for this giveaway! I would request Yasmin! Thanks for the chance to win! My grandaughter says she wants Cloe. I think my granddaughter would like Bratz on the Mic doll Jade. These are such a great idea! I know she would love this! I think my daughter would like the Jade doll set. I think my daughter would like any doll that was sent. . . I like jade! And I hit submit before I put my GFC name for the entry, it is omgacsl. Sorry! Don’t have that specific one, but have a couple of the Bratz and multiple feet/shoes, from the granddaughters. That one looks a lot skinnier and has smaller feet than the ones here. I like the jade doll! Oh, my gosh, you are killing my pocket book but helping me with my gift giving LOL!! This would be perfect for my little niece, well , I think? She is five years old, so I have to double check the age but knowing her she would LOVE this!! !